India 20 November 2016: All over the world Indian spices are very famous. The Spice Brands are very rich in taste and also have an unique flavour. All across the country India has a variety of spices it will depend upon the climate conditions. From Ages India has been cultivating spices and also exporting the spices brand to different countries around the world. The Indian spices always add taste to our food and give it a tasty and a delicious flavour and also make our food very tasty and yummy. The most Famous and popular Indian spices used are Asafoetida (Hing), Bay leaves, Cardamom (Elaichi), Cayenne pepper (Lal Mirch), Cinnamon (Dalchni), Cloves (Luong), Cokum, Cumin (Jeera), Fennel (Soonf), Fenugreek (Kasuri Methi), Mango powder (Amchur), Mint (Pudina), Nutmeg and mace (Jaiphal and Javitri), Onion Seeds (Kalonji), Saffron (Zaffran) and many others. In India spices are sold by street vendors just like they sell vegetables.Usually they are not packaged. Although in supermarkets we can find packaged spices. We have listed you the most famous and best and popular brands of India that is the Indian Masala Brands which produce Indian Spices. Everest Spices it is manufactured by an Indian manufacturer distributor and exporter of ground spices and spice mixtures under the brand name Everest. Everest spices are also available and it is exported in the USA, Middle East, Singapore, Australia, New Zealand, East Africa, and in many other countries, where non resident Indians trust Everest to provide them the authentic taste of home. Everest Spices is Indias largest spices brand based in Mumbai. It is estimated that over 20 million households regularly use Everest spices regularly it is the spice that are available in around 400,000 outlets in more than 1000 towns across India. Everest Masala has won many prestigious award including Superbrand (thrice in succession in 2003-04, 2006-07 and 2009-10) and Consumer Reaction Award (twice in a row, in 2004 and 2005) and others. Tel : + 91 22 40997700. Mahashian Di Hatti Limited (MDH Spices) is an Indian manufacturer, distributor and exporter of ground spices and spice mixtures under the brand name MDH. MDH Spices specializes in various unique traditional blends of spices suitable for different recipes like Chana Masala for chickpeas for example. MDH Spices has a several unique traditional blends of spices which is best and suit for different types of recipe/Dishes. In 1919 the MDH company was founded by Mahashay Chuni Lal as a small shop in Sialkot and now it is very popular all over in india and Mahashian Di Hatti Limited (MDH Spices) are exported the products to several countries. MDH Spices is associated with Mahashay Chuni Lal Charitable Trust. The MDH brand name is very famous and well known throughout India. Mahashian Di Hatti Limited (MDH Spices) its Headquarters are in New Delhi. Lending exquisite flavours and tantalizing aromas to every kitchen across the nation. Mothers Recipe is the market leader in Indian Pickles has a Product range that now consists of Pickles, Condiments, Blended Spices, Papads, Appalams, Curry Pastes, Curry Powders, Ready to Cook Spice Mixes, Ready to Eat meals (Canned and Retort Packing), Mango Chutneys, Ethnic Chutneys, Canned Vegetables, & Mango Pulp. Shri Haribhai V Desai founded the Mothers Recipe who initiated the business operations in 1901. The Desai Group was founded in 1901 and has diversified business operations with interests in Tobacco Products, Food Processing, Specialty Chemicals, Health Care – Hospitals, Logistics, Finance and Hospitality – Hotels. Today Desai Brothers Limited stands as a Rs. 550 crore company and Desai Brothers Limited is one of the largest employers in the nation. The Mothers Recipe Company also has strong presence in international markets covering regions like Middle East, Far East, Africa, Australia, UK, Canada and US. 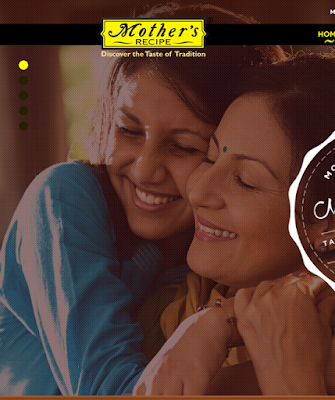 Its Indian Ethnic Foods are exported to more than 40 countries under the Mother’s Recipe Brand. Mothers Recipe has exotic spices and masalas which help you to make your food delicious and tasty in Indian preparations and you will love the meal and enjoy it. Cookme is a household name in spices allover India. Regarded for its penchant for quality, it has been enriching taste buds and health of millions of Indians across generations. In 1846, the times of Krishna Chandra Dutta, change was already evident. It was founded by Krishna Chandra Dutta. Over all those years Cookme has become a very popular Indian Brand for Spices. KRISHNA CHANDRA DUTTA (SPICE) PVT. LTD. Phones: (+91) 033 2259 8703 /8693 / 8695. J. D. MARKETING PVT. LTD. Phones: (+91) 033 2212 6029 /6030 /7017. Fax: (+91) 033 2212 7019. "PRIYA" is a registered trademark of Ushodaya Enterprises Private Limited. Once, making your favourite pickle was an arduous ritual: picking ingredients, washing, cutting, pounding, grinding,preventing contamination and ensuring long life etc. In 1980, the visionary Chairman of Ramoji Group, Sri Ramoji Rao created Priya. And it revolutionized our entire pickle culture. It metamorphosed a great subjective art into an objective scientific technique. It transformed an ancient technique into a contemporary process supported by technology and management. Priya launched its exploration of the world of taste with six flavours of pickles. Now it has grown to about thirty six varieties of pickles, ten varieties of pastes, four varieties of spice powders, six varieties of masala powders, five varieties of curry masala powders, seven varieties of traditional powders, twelve varieties of instant mixes, ten varieties of papads and has recently introduced twenty nine varieties of ready to eat, and nine varieties of convenient mixes, twelve varieties of snacks! Priya is like India: rich, varied, now spicy, now sweet... Today Priya is a global brand. It is the preferred choice of millions across the world, taking India to nations and continents. Indeed, India and Priya are the darlings of the world! “Pushp Brand” are the delicious world of spices. A world that promises you to the goodness of health and exquisite flavors of India. Pushp Brand Spices are brought to you by The Munimji Group of Companies based in the commercial capital of Central India – Indore. Pushp has the reputation of honesty, purity, and hygiene in all of its business. Pushp Brand provides the best quality of spices to lakhs of homes. We take special care in selecting raw material for all our products. Each blend is specially formulated to impart the genuine taste to various food preparations. Pushp Spices products are free of preservatives and synthetic colours. To maintain the same quality of our products throughout the year, we also have our own cold storages. That’s why it is said “PURITY THAT’S FOREVER.” Pushp has a business of spices. For 25 years Pusph Brand spices are being sold in all states of India. Pusph Brand spices the Company has a very strong marketing network throught India. “Agmark” is the certification of quality for Food products in India. Push Brand Spices enjoys the confidence and trust of Agmark. All its products are Agmark certified. India, the Queen of Spices, has always attracted the world with her exotic masalas. In fact, the connection goes back many centuries. Spices in the days of yore meant a handful of them like pepper, cloves, cardamom, ginger, to name a few. Being one of the first to introduce spices in attractive and convenient consumer packs, Ramdev has set a new trend in the Indian spice market. Today, with the world becoming a village, different cuisines across the globe have transcended borders and with that our product portfolio too has expanded to cater to international palates. Ramdev Spices have preserved the same values in all our products ever since we started as a small unit in 1965, in Ahmedabad, India. A small step became a giant leap in no time. But there was a binding force, a commitment that helped us keep our promise of purity and freshness in products for all these years. Ramdev Spices the products for all these years. Ramdev’s immense belief in the philosophy of ‘reaching a customer’s heart through quality’ has enabled it to spread the rich Indian heritage to millions of homes all over the globe. Nilon’s Enterprises Private Limited was founded way back in 1962 by Shri Suresh B. Sanghavi as a cottage industry. From a humble beginning, Nilon’s has today become the largest producer of pickles, Tooty-Fruity and Roasted Vermicelli and is a leading food company in India. Managed by a professional and dynamic team, Nilon’s is now among the fastest growing processed food suppliers in India. Nilon’s has manufacturing plants in Maharashtra and Assam. More manufacturing facilities are being planned in South and North India to serve our customers more regionally suitable food products. Survey No.131/1A/5,Near Ganesh Dutta Temple.